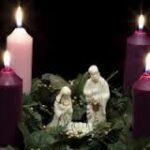 Advent is a good time to lift up some issues of women in the church. Our mothers in the faith, Elizabeth and Mary, are spotlighted in this season of blue hope. It’s the only time of the church year that the images of pregnancy, labor, and birth are front and center without apology. As issue editors we had the difficult task of discerning the focus of such a broad topic, deciding how to gather a variety of voices, and developing a brief collection worthy of publication. We know that on the pages that follow are just a sampling of issues, viewpoints, celebrations, and concerns among women and men in the Metro Chicago Synod. The purpose of this journal is to open discussion, not to try to say it all. Our greatest delight was the excitement our writers had for putting their ideas on paper. Each one asked agreed to write for this issue enthusiastically and each reported that they found themselves putting ideas together as soon as we talked to them. This is a clear signal that there is much passion about issues of gender and the church among our ordained and lay members. We hope that through this sampling you will discover some resources around these issues that you can use in the future. We are grateful to all our writers. We hope you enjoy Julie Ryan’s writing style. You will probably want to read her article several times to glean all of the insights it contains. Jan Wiersma-Halverson leads us a little more deeply into the scriptures and women’s interpretation. Thanks to Bruce Pangborn for agreeing to offer a male perspective and some personal reflections. Shirley Wilson-Sigler was excited and challenged by the assignment to offer an African-American woman’s perspective. Catherine McVey shares some of the experiences of women in one congregation and extends a challenge to other congregations. One of the causes for fear and trembling in approaching this broad subject of women and the church is the lack of unity across races and cultures. What many men may not appreciate is the divergence among women on what the important issues are or should be. A small example is that of inclusive language. While gender-neutral language for persons and for God is often a burning passion for many white feminists, black women often consider it to be inconsequential. Understanding why this is so requires much dialogue. ince 1992 a dialog group composed of women of several cultures has met at the Lutheran School of Theology at Chicago. They met together recently to talk about their experiences in engaging in this dialogue across races and traditions. They graciously agreed to record and transcribe for us over twelve pages of their conversations. We thank them for their efforts and have excerpted several comments that we hope will contribute to the dialogue among women and men. We must continue to talk in depth across gender and race lines. As we await the hope that is in us, let us be bold enough to risk speaking the truth in love . . . let’s talk! Serving the Needs of Black Women: Can the ELCA Respond?